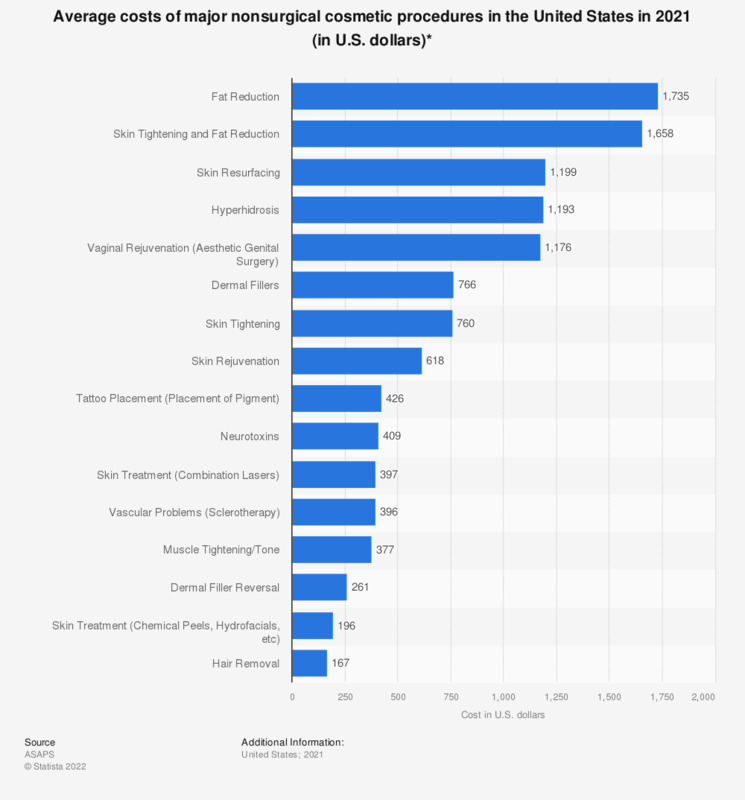 This statistic presents the average cost of major nonsurgical cosmetic procedures in the United States in 2017. In that year, an ablative laser skin resurfacing cost on average $2,560 U.S. dollars, and thus was the most expensive nonsurgical procedure. * National average for physician/surgeon fees per procedure.